Oh my gawd, you guys. 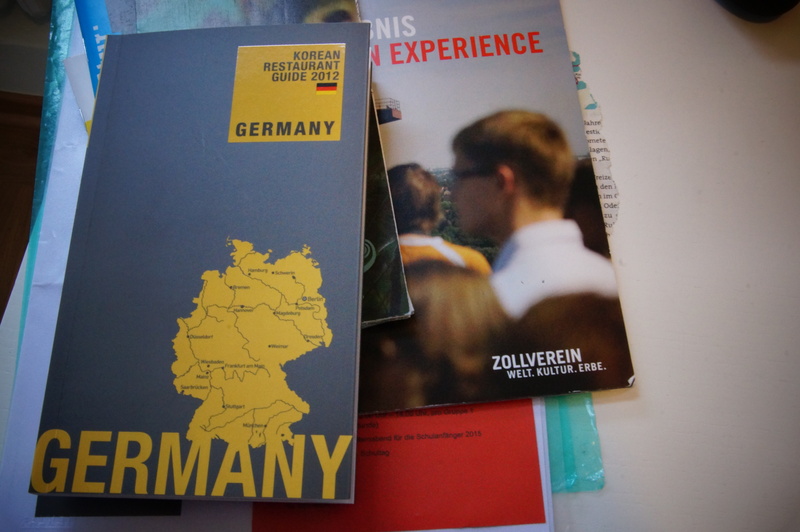 Where has this “Korean Restaurant Guide 2012 Germany” been hiding from me for the last two years? I guess this is what happens when you live in the sticks. I picked this up at Korea in Düsseldorf. You can also download it as an app. This is like having a meal plan for the next year – I’m eating at all of these Korean restaurants. Produced by the Korean Food Foundation, this is a selective guide not a comprehensive one, so I’m looking forward to finding out if each of these included restaurants are held to the same standards, if any have particular unique selling points, and which one is my favorite. Are you with me? Tags: Berlin, Dusseldorf, expatkimchi, Frankfurt, Hamburg, Jane, Korea restaurant Dusseldorf, Korean Food Foundation, Korean Food in Berlin, Korean food in Germany, Korean restaurant Germany, Korean Restaurant Guide 2012 Germany, Munich, restaurant app. Bookmark the permalink. I can not wait to hear what you think…and who has the best kimchi! DId I tell you that I tried a Kimchi Poutine in Toronto and it was fantastic? Really fantastic. What? For real? Kimchi Poutine? That is your guest post on Expatkimchi. You’ll be telling us all about it. If I can get down there again to eat it, you know I will. Heaven was eating that ¨poutine! but please remember that the word can be thrown around here in Ontario pretty loosely. Which word? Poutine or heaven? All North Americans. Exaggerate so much.